This year, we’ve announced major expansions to our global cloud infrastructure, which helps us provide high quality services to our customers. We introduced new cloud regions in the Netherlands, Montreal, Finland, and opening just yesterday, Los Angeles. 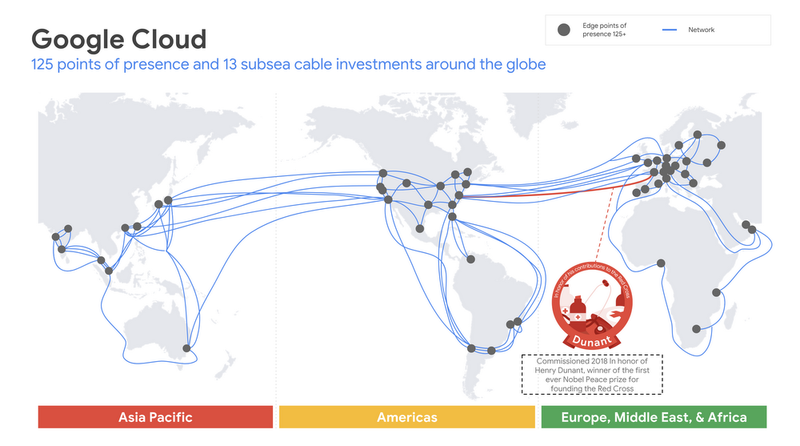 We invested in three consortium subsea cables--Havfrue, HK-G, and JGA-S. And we we became the first major non-telecom company to build a private intercontinental cable with our investment in the Curie cable. Today, we’re announcing our newest private subsea cable project: Dunant. 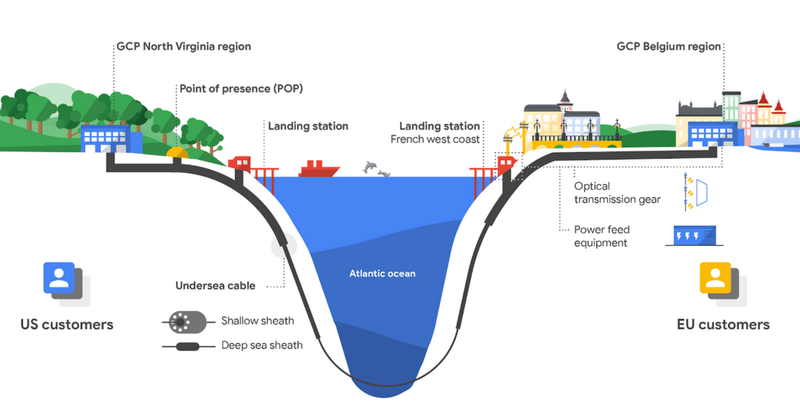 This cable crosses the Atlantic Ocean from Virginia Beach in the U.S. to the French Atlantic coast, and will expand our network--already the world’s largest--to help us better serve our users and customers. The Dunant cable is expected to become available in late 2020. 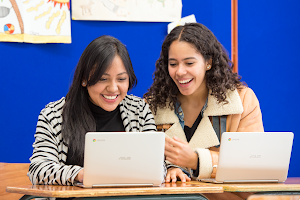 Dunant adds network capacity across the Atlantic, supplementing one of the busiest routes on the internet, and supporting the growth of Google Cloud. We’re working with TE SubCom to design, manufacture and lay the cable for Dunant, which will bring well-provisioned, high-bandwidth, low-latency, highly secure cloud connections between the U.S. and Europe. 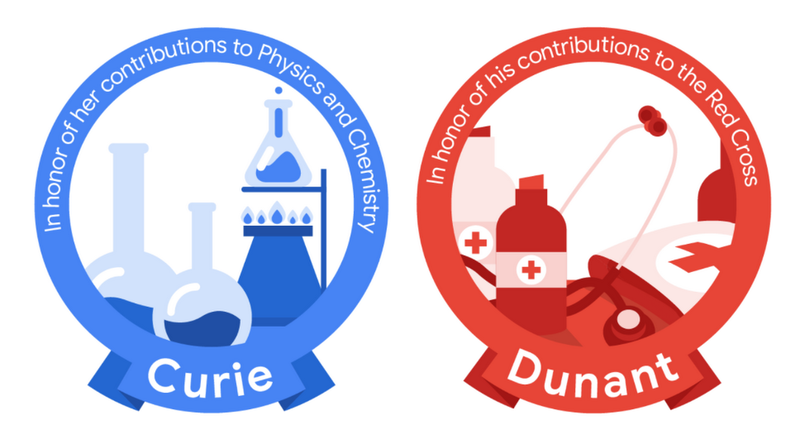 In keeping with the theme we established with Curie, Dunant is also named after an influential innovator, Henri Dunant, the first Nobel Peace Prize winner and founder of the Red Cross. 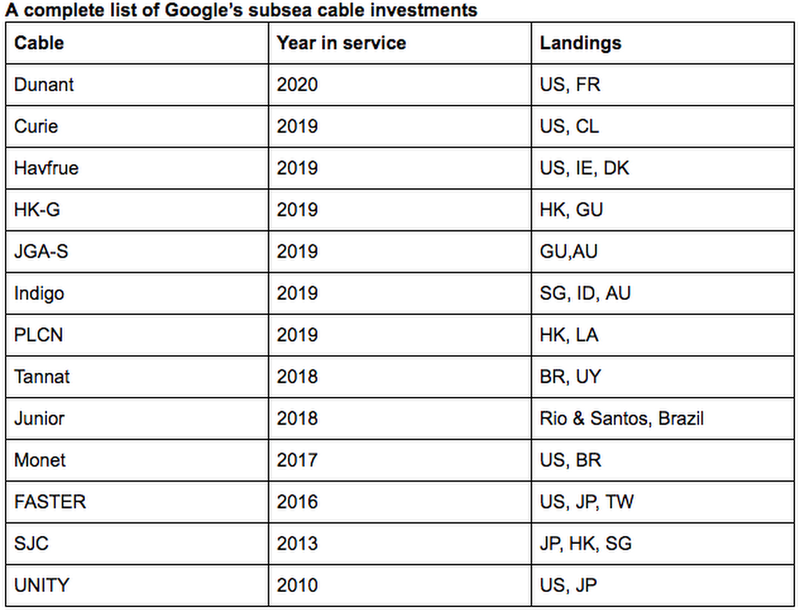 Like Curie and Dunant, future Google private cables will follow a similar alphabetic theme. A common question we get with these projects is why we’re building them privately. There are a few different ways to go about building a subsea cable. The first is to simply purchase capacity from an existing cable, or one being built by someone else. The second is to create a consortium of partners with similar needs and build a cable together. The third is to build it yourself. Performance and latency: Cables are often built to serve a very specific route. When we build privately, we can choose this route based on what will provide the lowest latency for the largest segment of customers. 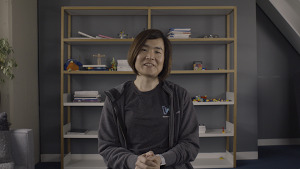 In this case, we wanted connectivity across the Atlantic that was close to certain data centers, but the reasons could also include the ability to land in certain countries, or to connect two places that were previously underserved, such as was the case with Curie. We started off with two private cable projects that run over relatively short distances. These were our Alpha and Beta cables (a nod to how we name software releases), and their success led us to build both Curie and Dunant privately. We’ve worked with consortia on other new cables—including Havfrue, HK-G and JGA-S--and will continue to invest in consortium cables in the future. Our investments in both private and consortium cables meet the same objectives: helping people and businesses can take advantage of all the cloud has to offer. We’ll continue to look for more ways to improve and expand our network, and will share more on this work in the coming months. In the meantime, you can learn more about our network on our website, or try our demo to see how our infrastructure looks today.